CDJR Tax Return Deals | CDJR Dealer Serving Gillette WY " "
If you’re excited about the refund that you’ll be receiving from the government this tax season, you might already have a few ideas about how you’ll spend it. Maybe you want to make a few extra contributions to your retirement fund, or maybe you want to save up for a family vacation. You might also be dreaming of that beautiful new car. If you have money coming back to you, buying a car is a great way to fulfill an important need and even indulge in the luxury item that you’ve been wanting. A vehicle is a major buying decision. Whether you plan on buying one that’s pre-owned, leasing with the intention of buying, or signing the paperwork on a brand new dream vehicle, you’ll need to be realistic about what you can genuinely afford. You need to know how much you consistently make each month, and then you need to add up your total expenses. Think about the major expenses that you need to pay for each month, such as your rent or mortgage, other car payments, and utilities. But don’t forget about more flexible monthly expenses, such as food, clothing, and other extras. And if you’re contributing extras to your retirement fund, plan for that, too. Once you’ve figured in all of those expenses, if you’re a little short on how much you can spend, you can look at the flexible expenses to see if there’s anything that you wouldn’t mind cutting. For instance, if you like going out to eat, are you willing to cut that to get your dream car? You’ll also need to know how much a vehicle will cost you in total and each month. You can use a car loan payment calculator to help you get a better idea. This tool helps you better understand the total cost of the vehicle, as well as your monthly payments, buy letting you put in the total sticker price of the vehicle, the sales tax, the loan rate, and the number of payments over the course of the loan. You’ll also put in any rebates, the down payment, and the trade-in value of a vehicle if you’re trading in. Making the first down payment on a vehicle can actually feel really good. First of all, you’re reducing the amount that you owe on a vehicle, and you’re also reducing the total interest that you’ll pay on a vehicle. You’ll also enjoy the comfort of knowing that you have that much less to pay on your vehicle. And you’ll like that your loan payment might be less each month. Alternatively, you could also choose to have fewer payments, depending on what type of loan that you get. 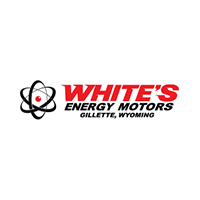 At White’s Energy Motors, we have a sales team that’s committed to helping you find the vehicle that you’ve been looking for. So come in and take a look at our huge inventory. We’ll even let you take a few for a test drive once you’ve decided what interests you.